April 27, 2017 April 27, 2017 Rikki Niblett	Disney's Hollywood Studios, The Music of Pixar Live! Did you miss the announcement that this summer there will be a fantastic new nightly event called Music of Pixar Live! at Disney’s Hollywood Studios? Beginning May 26, in the Theater of the Stars, which is where Beauty and the Beast – Live on Stage is held, Guests will be able to enjoy a live orchestra performing scores of your favorite Pixar stories, from Toy Story, all the way to Cars 3, as well as appearances by beloved Pixar characters. The show will also include movie montages, outtakes and interview clips from the people behind the music! Well, for Guests who want to make sure that they don’t miss this entertaining experience, Disney is introducing the Music of Pixar Live! Dining Package. Guests who purchase the Dining Package can enjoy one of three performances of The Music of Pixar Live! each evening, as well as a meal at either Hollywood & Vine, The Hollywood Brown Derby, or Mama Melrose’s Ristorante Italiano. 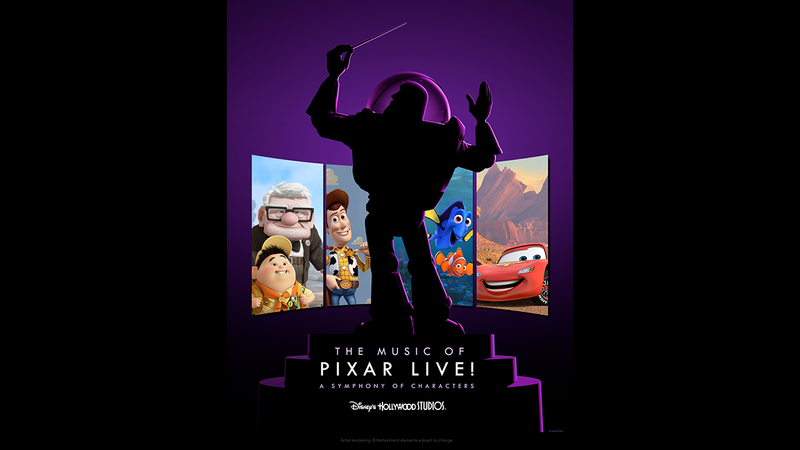 For those who would like to catch both The Music of Pixar Live! and Fantasmic, there is a The Music of Pixar Live! and Fantasmic! Dining Package too! With The Music of Pixar Live! Dining Package Guests will be able to enjoy an appetizer, entrée and dessert, or one full buffet, along with a non-alcoholic beverage, as well as one guaranteed seat for The Music of Pixar Live! for that day. Pricing does not include tax and gratuity. Some Disney Dining Plans are accepted. One table-service entitlement will be required at Hollywood & Vine and Mama Melrose’s Ristorante Italiano, and two table service entitlements are required at The Hollywood Brown Derby. Guests must dine no later than two and a half hours prior to OR one hour and fifteen minutes after showtimes. Also keep in mind that admission to Disney’s Hollywood Studios is required and is not included in the price of the dining package. Currently showtimes for the show are listed at 5:00 p.m., 6:45 p.m., and 8:15 p.m. For reservations, you can book online or by calling (407) WDW-DINE. Reservations are available through August 27. Can an AP discount be applied to one of these dining packages? Also is there any indication whether you’re limited to a set menu of options with the package or if the full menu is available? Thanks! I’ve never done this package, but I’ve done the Fantasmic package a couple times before at Mama Melrose’s. You have access to the full menu, plus specials. Just pick any of the apps, entrees, and desserts. It’s really a fantastic deal with the dining plan. Thanks Dan! If I’m not mistaken, it seems like it could actually be a better deal than dining without the package, depending on what’s ordered. $49 filet plus $11 app plus $10 dessert comes out to a great deal for only $65! I’m planning to book Brown Derby but just need to call WDW and verify if the AP discount is applicable. Any idea of the running time of the concert? It’s 40 min., per the disney website. Also, I just called them to book this and the guy on the phone said that the performance is closer to 20 minutes. That was important to know since I signed up for the 8:15pm performance with the 9pm Fantasmic performance. He said that they specifically designed it that way so people can go from one to the other. 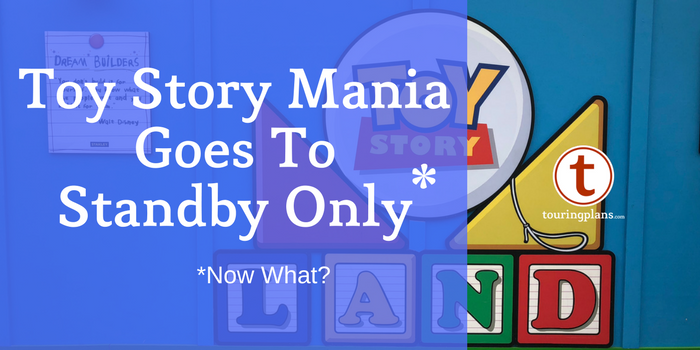 Are fast passes going to be available for the music of pixar? anyone knows? can you just get in line or is it only with a dinning package? my fast pass window will open soon and want to plan ahead and accordingly. Are there any plans to extend this to the fall? We are going in October and would love to see this show.